Добрый день, дорогие друзья! (Hello, dear friends). 1. Туристы летают в Мексико-Сити из Нью-Йорка ___на самолете___ . Tourists travel from New York to Mexico City (by plane). Bought a new mic, new headphones, iMac G5 - all set up to produce 'killer shows', yet this show will be the last one before I can get settled in our house. Hi, everyone. Добрый день. 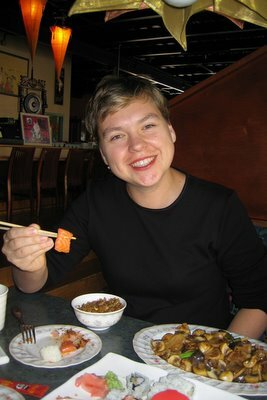 This is just a short note to let you know I haven't forgotten about my listeners and "A Spoonful of Russian' podcast will be coming back! 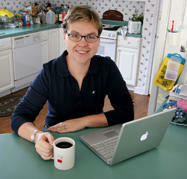 I also wanted to share with you an interview I recently gave to a BBC reporter and producer April Peavey. It aired today, January 4th, 2006. It was a pleasure and honor to work with April. Lesson 12 - Happy Birthday! Добрый день, друзья! Как дела? Хорошо? Отлично. 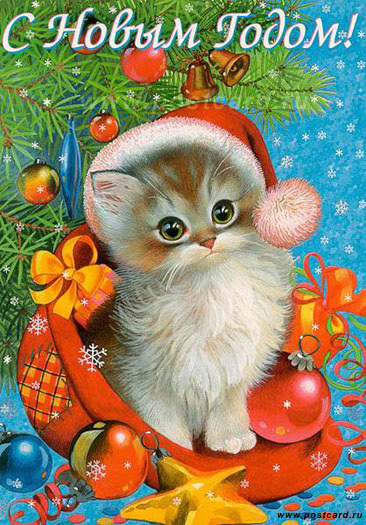 It's December now, and I am a bit late with my coming back to the 'Spoonful of Russian'. I was hoping to get it started again in November, but....like they say in Russia: "Люди предполагают, а Бог располагает!" Which literally means "People make plans, but everything is in God's hands'. Today you will learn to write Russian cursive "А". I will include more than one letter in my future lessons. Today I'll show you how to write Б,В,Г in cursive. 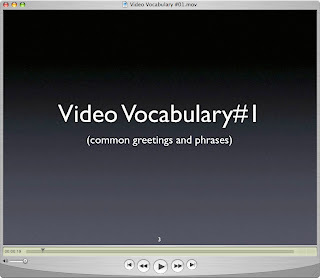 Video Vocabulary #1 - Common Greetings and Phrases. 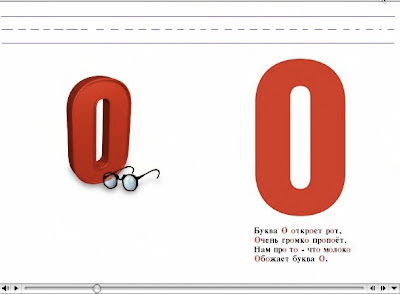 You can find a PDF file of the vocabulary in the DOWNLOADS section of the site. 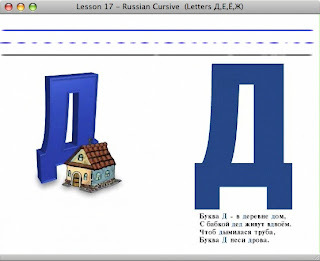 Today you will learn how to write Russian Cursive letters "У,Ф,Х,Ц,Ч" .